Prince Harry and Meghan Markle ain’t much for wasting time — they’re already expecting their first royal baby. 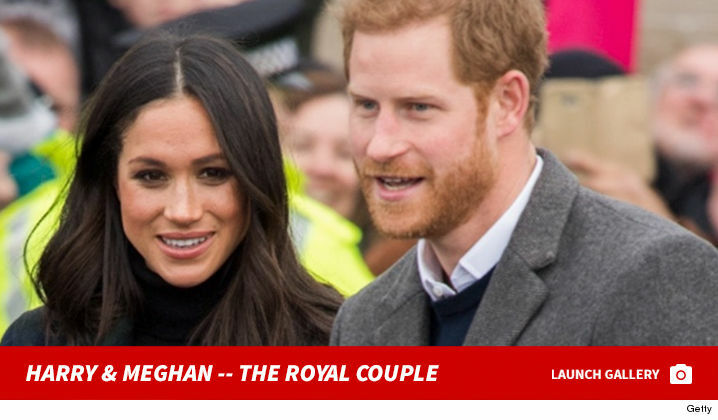 Kensington Palace announced Monday morning Meghan, the Duchess of Sussex, is pregnant and said she’s due sometime next spring … which would be right around Mom and Dad’s one-year anniversary. Chances of the baby getting Meghan’s mom’s name, Doria, are 50/1 and Samantha (Meghan’s sister) are 100/1. Meghan and Harry tied the knot in May of this year. We know, everyone’s doing some quick math (don’t forget to carry the one) … and, no … it was NOT a shotgun wedding. They just had a very busy first couple of months of marriage … in bed. For what it’s worth, when their child arrives, he or she could be a future king or queen — although it’s really unlikely. Meghan and Harry’s kid will be 7th in line to the U.K. throne. Next Article Nailah Blackman Unleashes Pure Sweetness With The Iron in Mind.